Niacin, also known as nicotinic acid is one of the B vitamins (vitamin B3) found in vitamin supplements and also combined with prescription drugs for medication purposes. One of the primary uses for niacin is preventing cardiovascular disease. Some people also take niacin to treat a vitamin deficiency, but it is typically taken to reduce cholesterol and triglyceride levels in the blood. Niacin is most effective when it is taken alongside a low-cholesterol low-fat diet. Niacin is both a prescription medication and an over-the-counter one, though it has not been approved for use by children under 12. Studies published in the New England Journal of Medicine from 2014 failed to prove that niacin was effective at reducing the risk of heart disease and stroke and that it can be difficult for the body to tolerate. While these studies also failed to provide enough evidence to suggest, doctors should stop recommending niacin the journal did come to the conclusion that patients who are not currently receiving niacin should start. Before prescribing niacin, your doctor must be told about any allergies you suffer from, medications you are taking (whether they are prescription or over-the-counter), vitamins, illegal or recreational drugs, and dietary or herbal supplements. That’s because these drugs, supplements, and allergies can interact with niacin and affect how it works. You also need to tell your doctor if you have diabetes, or problems with your liver, kidney, or gallbladder, as well as if you suffer from heart conditions like angina, gout or stomach ulcers. Your doctor should look over your medical history with you to let you know if there is the chance for harmful interactions. The Food and Drug Administration (FDA) does report that niacin can be potentially harmful to unborn babies if taken in high doses as part of a treatment plan for high cholesterol. Niacin can also be excreted in breast milk, which could harm a nursing baby. You should always consult your doctor before taking niacin if you are a nursing mother. 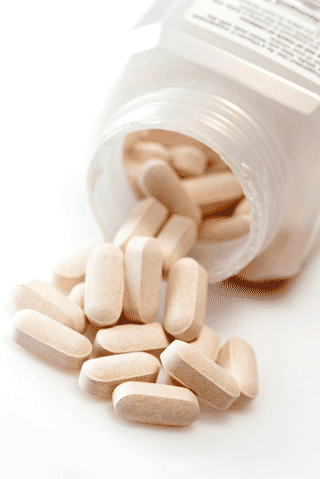 Patients should avoid taking niacin if they suffer from liver disease, a stomach ulcer, or bleeding. Patients should also avoid taking niacin alongside colestipol (Colestid) or cholestyramine (Locholest, Prevalite, and Questran). If you’re one of these medications, then you should take them to six hours before taking niacin. Niacin can also interfere with a urine test so always inform the tester that you’re in niacin when giving a sample. There are several different forms of niacin including tablets, capsules, and extended release versions of these tablets and capsules. Always take niacin as directed, sometimes with a low-fat snack at bedtime. Some of the side effects of niacin; such as flushing, can be avoided if you take Ibuprofen (Advil) or aspirin (Anacin, Bayer, Bufferin) around 30 minutes before taking niacin. Niacin should be taken with a full glass of gold water, with the capsule swallowed whole. If you break the capsule or crush it, then it could lead too much of the drug being released at once. Niacin recommended doses alter depending on the type of capsule or tablet that you’re taking and why you’re taking niacin. You should always discuss the correct dose with your doctor. Updated: Nov 13, 2016 by Sarah Gonzales. Bookmark the permalink.